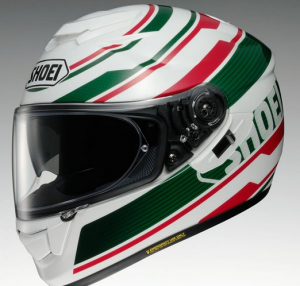 Gotta love a Shoei helmet, right? Many of us do, and indeed they were once (along with Arai) the princes of bonces for decades. 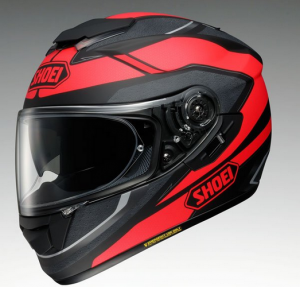 Even though the rest of the competition has caught up and gotten their act together, offering incredible helmets, Shoei still shines bright as one of the market leaders. 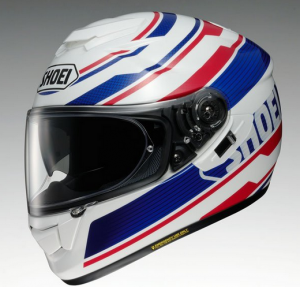 New for this year is the £499 Shoei GT-Air, a pretty smart lid focused more on the road side of things than the track – but still capable in that arena should you so wish. The GT-Air’s shell (which comes in three sizes) is made from organic and multi-composite fibre laid down in various layers for optimal shock-absorption and rigidity. 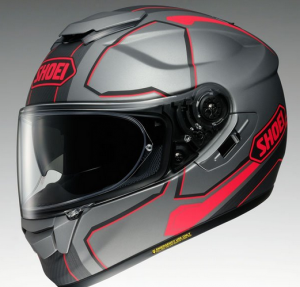 It has an emergency removal system, an internal sun-visor (shudder…) . the interior is removable and washable, different sized cheek pads are available and the lid features plenty of ventilation via multiple in and outlets. 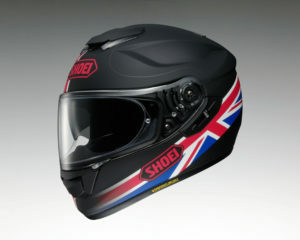 One seriously comfortable lid, but one with a serious dollop of sporting pretentions, too. Previous Post:Attack The Clock – Out Now! 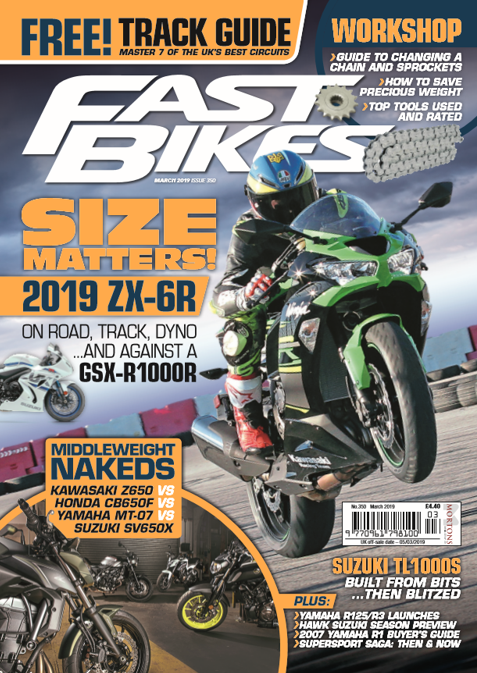 Next Post:Watch – 2017 Suzuki GSX-R1000R Vlog – Ep 1!